'Alice in Wonderland' faces theater owner revolt in U.K.! WHAT!? Not Good! Walt Disney Pictures' decision to accelerate the release of its upcoming 3-D film "Alice in Wonderland" on DVD has sparked a revolt among movie theater owners in Europe. Major chains in the U.K. and the Netherlands have threatened to boycott the movie when it hits theaters March 5, a move that could cut into box-office revenue. The film adaptation based on classic characters of Lewis Carroll has become the latest battleground between studios and exhibitors over how soon movies should be released on DVD after they've opened in theaters. 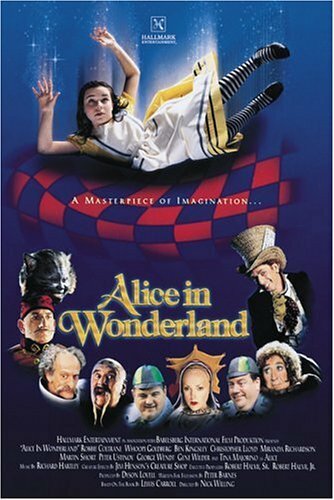 They already did a nice movie version of "Alice in Wonderland" (1999) starring Tina Majorino who made a very nice Alice charactor. Plus the Sci fi channel had a weird twisted retelling of the movie (that one should have been lost in Wonderland) called "Alice" (2009) I sort of think *that one* would have been up Tim Burton's alley. > They already did a nice movie version of "Alice in Wonderland" (1999) starring Tina Majorino who made a very nice Alice charactor. The 1999 version of Alice in Wonderland was a TV movie - and a good one, at that, winning 4 primetime Emmys. However, much of the spectacle of Burton's version is designed (presumably) to be best appreciated in the new, digital 3-D systems, especially those of IMAX screens. Disney's "Pinocchio" in 3D and cast him as the worlds biggest fibber. I just saw the commercial for it and I don't like it. Its a dark version of the story much like the Sci Fi channels, "Alice". I like the the 1999 version better even if its a made for TV flim. So many dark gloomy movies being made nowadays - I think people are playing way too many video games and the movies are beginning to reflect it. Bet Walt Disney is turning over in his grave.